I have three fish at my apartment. All goldfish, though only one is actually gold. His name is Norm Goldman. The other two are Freddy and Rocko (I don’t have high hopes for Rocko’s longevity, he likes to do that float near the surface trick for an uncomfortably long time a bit to often). Needless to say these three inspired this drawing. 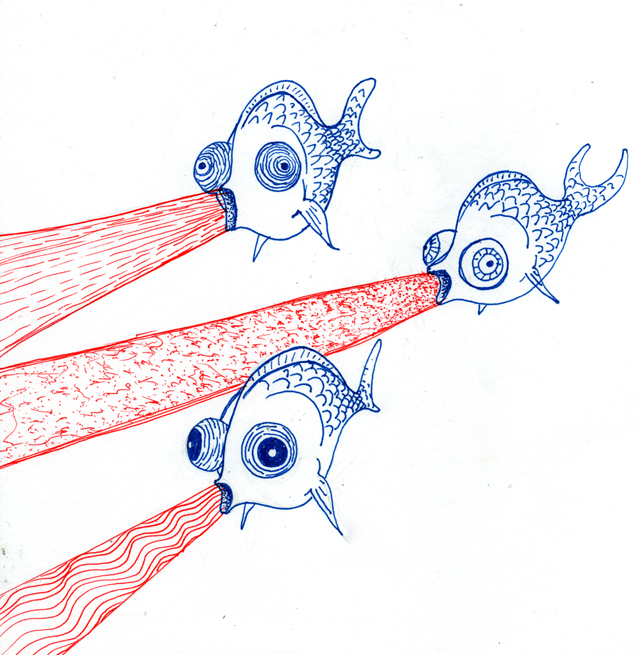 My fish don’t shoot lasers but these do.